Adjunct questions are a common means to foster learning from instructional explanations. As the benefit of adjunct questions is mitigated if learner performance on them is low, it is also common to provide feedback as an add-on if learners fail to correctly respond to them. However, if adjunct questions are highly demanding, feedback might not only beneficially affect learning because it helps learners revise their comprehension difficulties; at the same time, it could also detrimentally affect learning by causing learners to invest less time in responding to subsequent adjunct questions, which lowers learner performance on these questions. This, in turn, could reduce learning outcomes. To address these potential detrimental effects of feedback, we experimentally varied whether N = 59 students received immediate feedback after they responded to highly demanding adjunct questions. 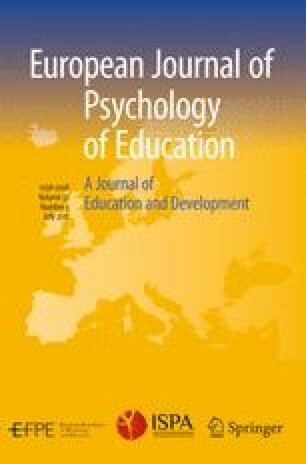 We found that the feedback did indeed have detrimental effects: At least for the learners who perceived the task of responding to the adjunct questions as highly demanding, the feedback decreased both the time the learners invested in responding to the adjunct questions and their performance on them. This detrimental effect on the performance on the adjunct questions, in turn, entailed a detrimental effect on learning outcomes. We conclude that immediate feedback is not necessarily a beneficial add-on to adjunct questions in all situations. We would like to thank the students who participated in our study. Furthermore, we would like to thank Stewart Campbell for proofreading.